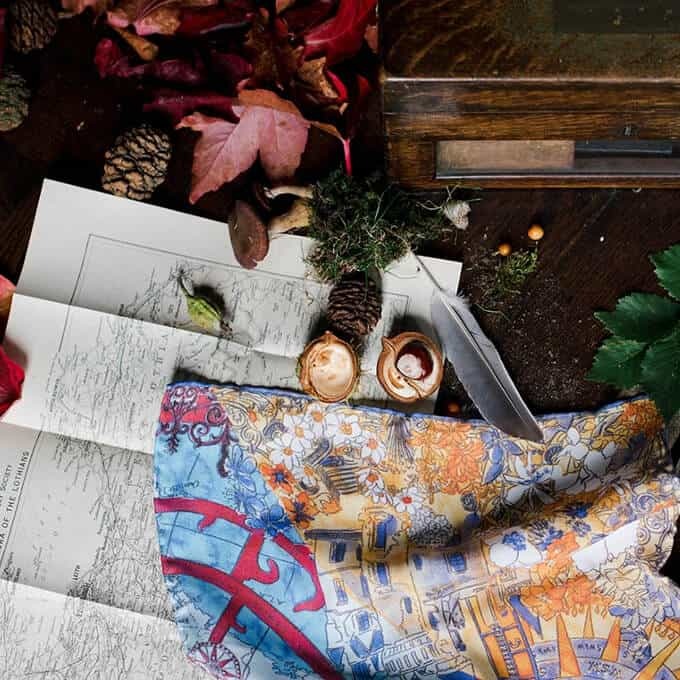 The unique design for this pocket-square tells the story of Isobel Wylie Hutchison’s dual existence: one of convention and another of adventure. 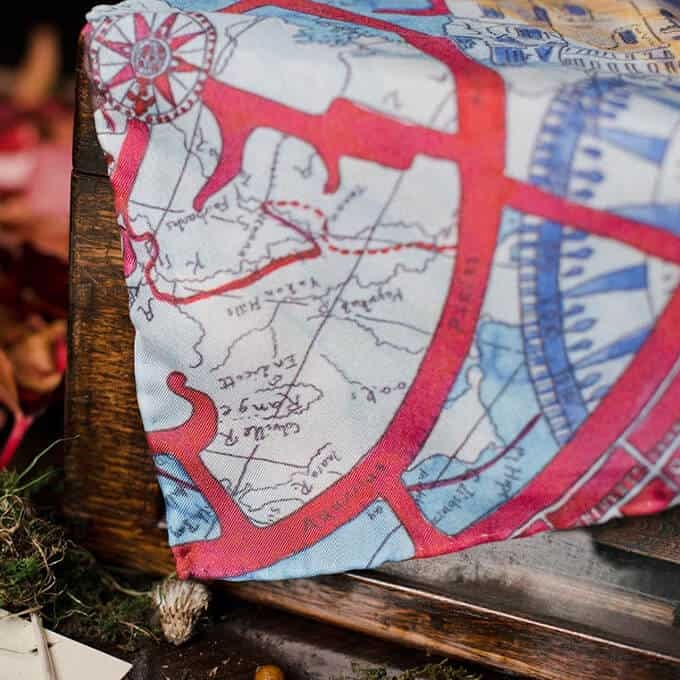 The design was first devised as a handpainted watercolour illustration before being printed onto the finest silk. The illustration is split diagonally into two parts, her life as an explorer in the blue arctic wilds, accompanied by sledges and dogs, and her home life at Carlowrie Castle. 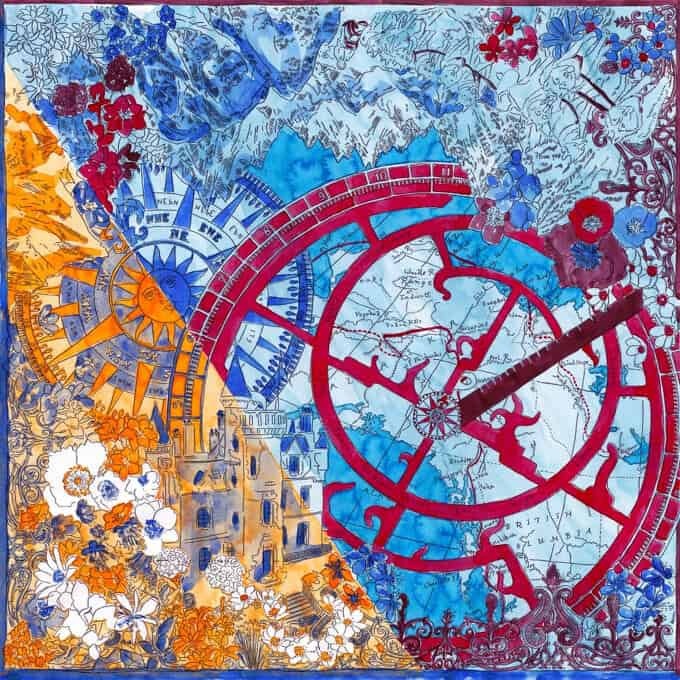 A compass is at the heart of the image, drawing Isobel in different directions that reflected the different aspects of her lifestyle and personality. The floral specimens Isobel collected surround the design, pulling the narrative together.